A boat tour on the Amalfi Coast will give you the opportunity to discover the Divine Coast in all its peculiar beauty and to discover details that you would never be able to see from land. The spectacle of this shoreline, one of the most beautiful in the Tyrrhenian Sea, cannot be explained in words and at times it will leave you breathless for wild and imposing aspect of the limestone hills covered with olive trees and Mediterranean vegetation, deeply marked by sudden torrents that plunge straight into the crystal clear sea and from incredible fjords, such as the Fjord of Furore, one of the most particular natural attractions of the Amalfi Coast, a wound in the coast that, with its suggestive and magnificent walls, embraces a strip of sea creating an oasis of rare beauty between the rocks. 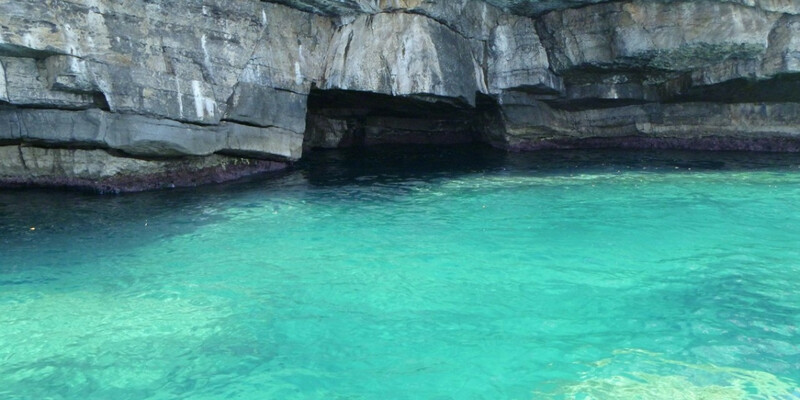 And then during our excursion by boat on the Amalfi Coast we will discover many caves, gorges, tunnels and cavities, many of which are still unexplored. 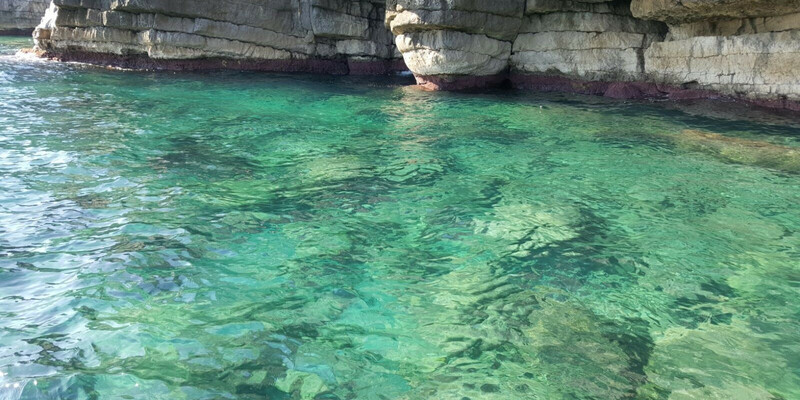 The most famous, the Emerald Grotto, discovered by chance by a local fisherman in 1932, is located at only 5 km from Amalfi, in the enchanting bay of Conca dei Marini, and owes its name to the particular shade of green assumed by the sea by reflecting the light that filters through the rocks, a particular colour that, depending on weather conditions and time of the day, goes from cobalt blue, to turquoise, to emerald green. From the walls, stalactites and stalagmites of strange shapes jut out, creating an enchanted atmosphere. You will feel like you are in an enchanting place, because this coastline, famous all over the world, is truly enchanting. 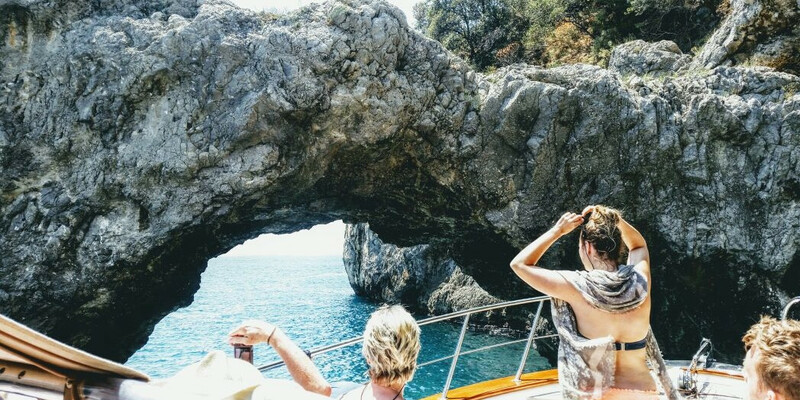 Besides the beauty, carefree and fun, our boat trip will give you unforgettable memories, snapshots of your holiday in the Amalfi Coast that you will keep in your heart forever. During the tour, optional lunch in a restaurant by the sea with private beach (beachwear suggested). 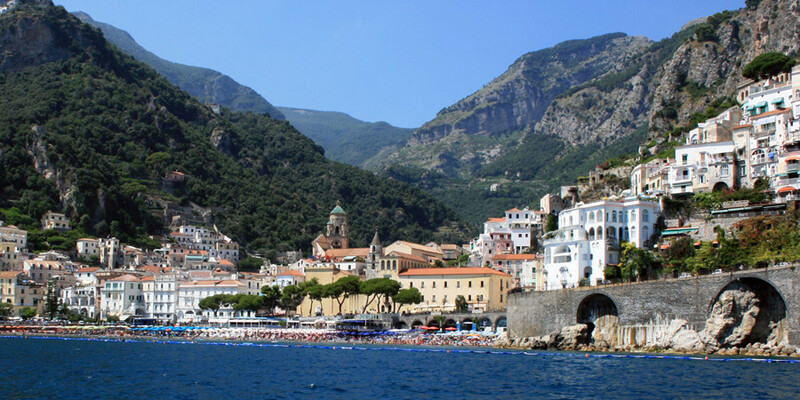 • As an alternative to lunch, 2/3 hours free to visit Amalfi and Ravello. • Return to Positano in the afternoon. 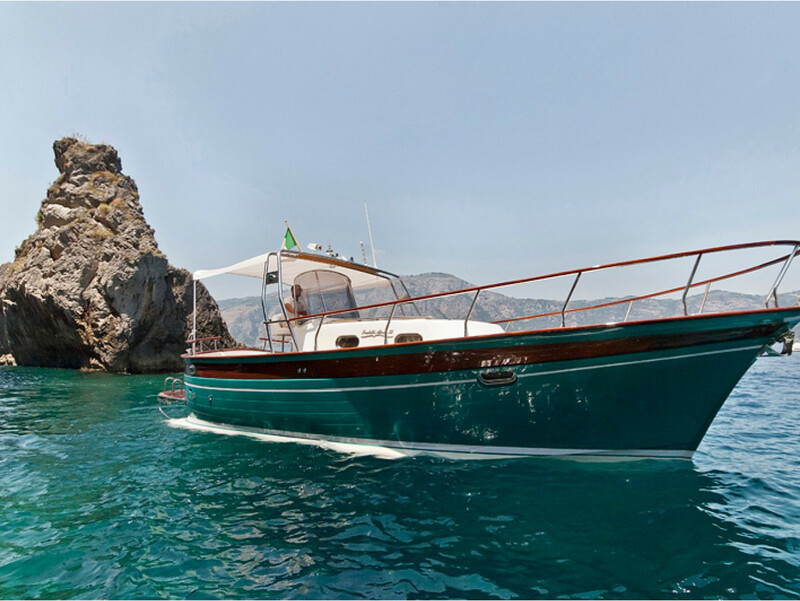 Need more information about our boat trip on the Amalfi Coast?